Due to rain over the weekend and high winds today; practice is canceled. See you Wed! Reminder: no race at NOVA today. Hope to see you at practice on Monday. It is pouring :( tonights practice is canceled but MOD Pizza is not!! See you there! 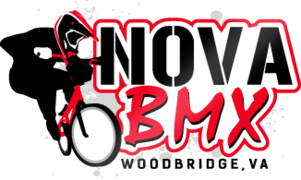 Mention NOVA BMX at MOD Pizza and the track receives 20% of your purchase amount!